7) Rally Day at AT&T Stadium, July 4 - Rally Day at AT&T Stadium, 12-6 p.m. VIP tours or self-guided tours, Rowdy mascot, activities and games on the field, The Dallas Cowboy Cheerleaders, Super Bowl trophies, autograph opportunities and more. Tickets 17.50-$27.50. 6) Fireworks, Family, and Fun!, July 4 – You’ll be dazzled by brilliant fireworks displays during Six Flags’ July 4th weekend celebration. Bring a Coke can to enjoy exclusive ride times on popular attractions before the park opens. Plus, a live DJ, interactive games, and festive activities. July 4 – 9:00 - 10:00 a.m. It wouldn’t be July 4th without fireworks! At approximately 9:45 p.m. each night – Six Flags Over Texas and Coke will present a fireworks and Laser extravaganza at our front gate – please join us as we honor our country! 5) Lone Stars and Stripes Celebration, July 4 – Let your heart race at the 19th annual Lone Stars and Stripes Fireworks Celebration at Lone Star Park in Grand Prairie. A 20-minute choreographed fireworks spectacular at 10 p.m. will follow live horse racing fun. Kids will enjoy the Family Fun Park featuring bounce houses, pony rides, a petting zoo, a rock climbing wall and other fun activities for kids. Doors open at 10:30 a.m.
4) Fantasy in Sand - Beneath a 20,000-sq-ft. air-conditioned tent near Globe Life Park are 16 sand sculptures depicting scenes from The Wonderful Wizard of Oz, plus the finale of America the Beautiful. Prepare to be impressed with hand-carved national icons like the Lincoln Memorial, the Golden Gate Bridge, Mount Rushmore and the Statue of Liberty. And you’ll dig the conclusion of the tour…a 2,000 square foot sandbox! 3) The Texas Rangers post-game fireworks display, July 4 – See the Rangers square off against the Angels, July 3-5 at Globe Life Park. And on July 4th, you’ll catch more than just America’s Pastime. Following the game, attendees will delight in a breath-taking fireworks display set to patriotic music. 2) Light Up Arlington, July 3 – This brilliant annual event lights up downtown’s Levitt Pavilion with food, fireworks and live music from Sgt. Pepper&apos;s Lonely Bluegrass (8:45 p.m.), Brad Thompson (7:30 p.m.) and more. 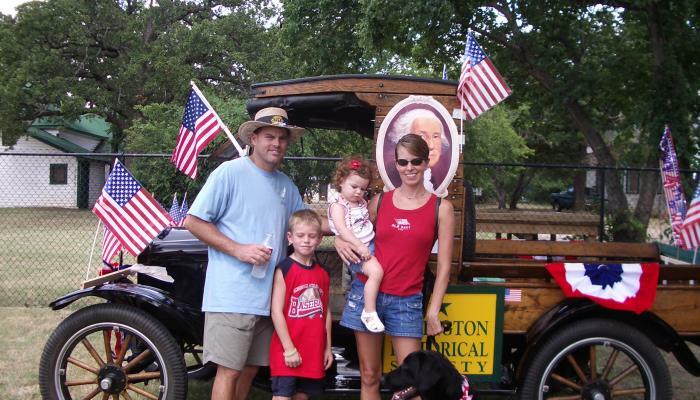 Fireworks at 9:45 p.m.
1) Arlington 4th of July Parade, July 4 – Awaken your spirit of patriotism the morning of July 4th, 9 a.m. in downtown Arlington. Afterall, nothing says Americana quite like a charming downtown parade with marching bands, fresh-faced children, military color guards, dignitaries, and beauty queens waving from the back of convertibles! Visit arlington.org for restaurants and other activities to enjoy on July 4th, plus the rest complete list of year-round events!